Laura Gillen built a cold frame from recycled materials, depends on rain barrels, saves seeds, recycles window screens for fencing materials, uses branches and nylons for support, pillowcases, and is emphasizing perennials in her vegetable garden. Alison Rolen salvaged wood for her raised beds, visits construction sites for materials she can use in the garden, uses rain barrels, collects bean seed, and washes and re-uses plant tags. 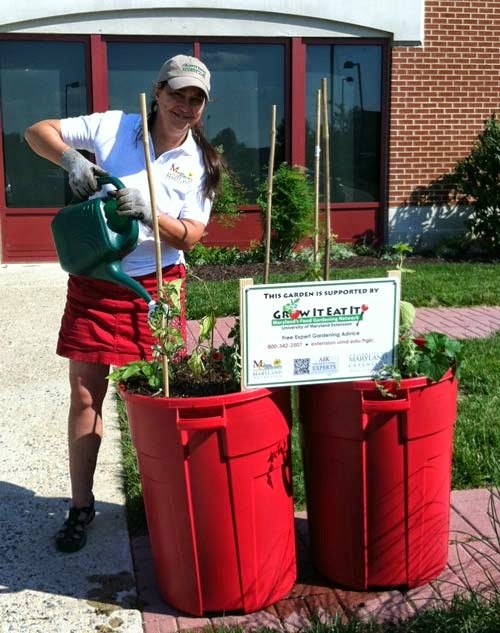 Germantown Library planted two red plastic trash cans in front of the Germantown, MD public library. The containers did not produce a lot of food but attracted considerable interest and there are plans for improving the project for 2015. 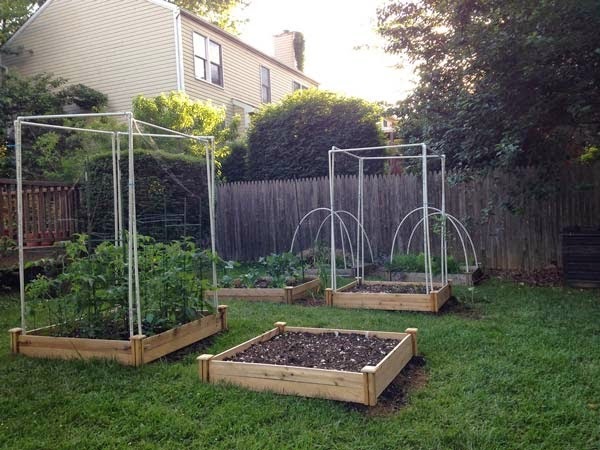 David Marcovitz protected his garden from Bambi and Associates with pvc pipe frames covered with deer netting. He advises to eat the leaves of broccoli plants (cook them like kale) if they don’t produce heads. Be on the look-out (and hand-pick) caterpillars that will devour broccoli, kale, and cauliflower planted in late summer for a fall harvest.